The massive capital starships of Star Wars: Armada feature designs that balance their scale and complexity with ease of use, and the Armada maneuver tool is at the heart of this design. 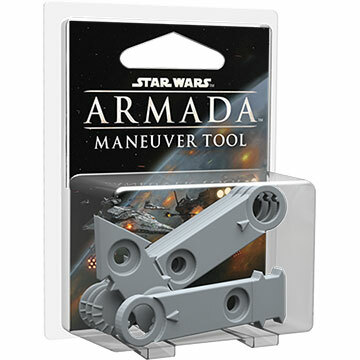 The Star Wars™: Armada Maneuver Tool accessory pack provides you an easy way to add a second maneuver tool to your games. Alternatively, you can use its components to build a shorter maneuver tool to accompany your full-size maneuver tool for use with slower fleets or to navigate your ships more easily through tighter spaces.